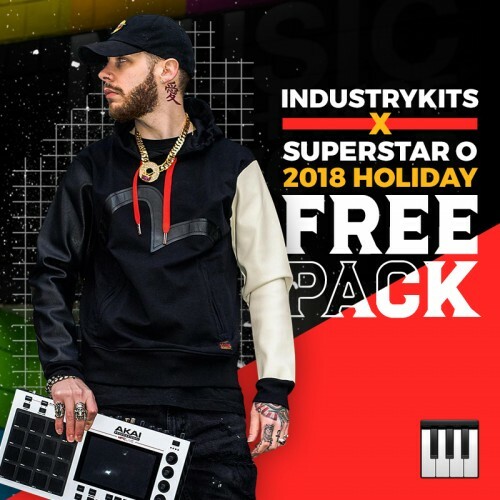 As Just A THANK YOU To All Of You Fellow Musicians / Music Producers That Support IndustryKits We Bring You A NEW FREE PACK!! This Is Not Just Any FREE Pack Either, I (SuperStar O) Loaded It With Over 1GB Of FREE Content For You All To Dig Into Over These Holidays! We Love You All So Much & REALLY Appreciate The Support You All Show Us & We Do Everything We Can To Show That. In This FREE HOLIDAY PACK You Will Find 20 FREE Presets For Our URBAN FLAME VST + 1 FREE Month Of The VIP ProducerGANG Membership Which Is LOADED With A TON Of Stuff For You PLUS A FREE Video Giving You Some Insider Tips & More Producer Love & Info. HAPPY 2018 HOLIDAYS YOU ALL , WE HOPE YOU HAVE A GREAT ONE!! !